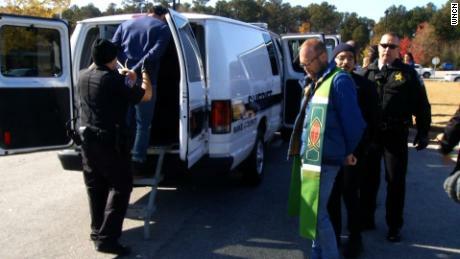 They locked arms around the agents’ unmarked gold-colored van and prayed for about two hours. They sang “Amazing Grace” and other worship songs. Authorities arrested him as part of a “targeted enforcement action,” ICE spokesman Bryan Cox said. He later admitted that he was a Mexican national and had paid $1,000 for the document. Oliver-Bruno’s case has been subject to extensive appeals since then, Cox said. 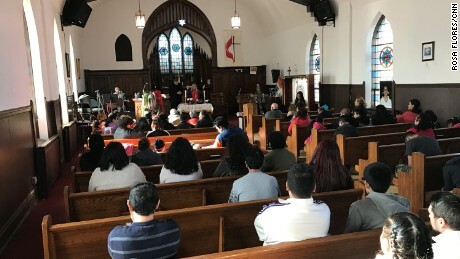 To avoid deportation, he lived at CityWell United Methodist Church in Durham, North Carolina, for 11 months. ICE generally avoids arrests at “sensitive locations” such as houses of worship. 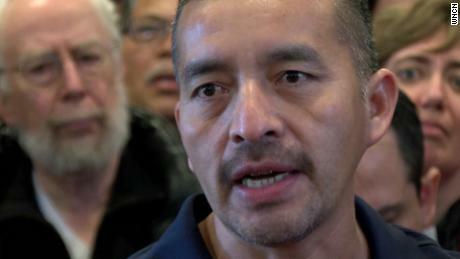 Oliver-Bruno fears he’ll be deported and leave behind his son and his wife, who suffers from Lupus and other medical conditions, the affiliate reported. Last year, the CityWell United Methodist Church agreed to take him in but the building wasn’t ready for him. He helped with the renovations, including building a bedroom and a shower. “He helped construct his living quarters. He’s remarkable. He’s very generous and kind,” Pastor Cleve May said. With the help of community members, Oliver-Bruno, who is an aspiring baptist minister, continued his studies at Duke University’s Divinity School after his class agreed to meet at the church, advocacy group Alerta Migratoria said. “As I continued cooped up, sometimes I feel the need to be free. I need to work, do the activities I used to do, to afford medicines for my wife and doctor’s appointments,” he said in a video posted by advocates days before his arrest. 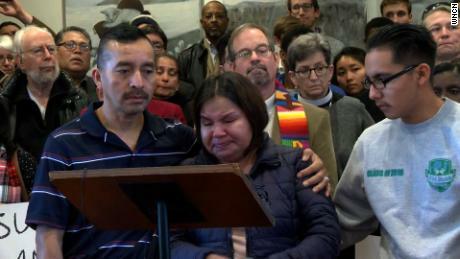 His arrest means others who’ve sought sanctuary at other churches are not safe either, advocates said. Congressmen David Price and G.K. Butterfield said they are “extremely alarmed” by the detention, and accused the immigration agencies of coordinating the arrest.